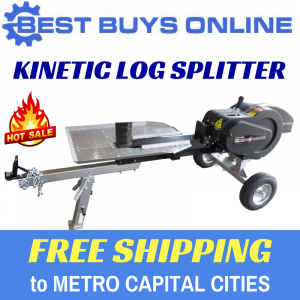 Are you looking for a quality and durable Log Splitter at a great price? 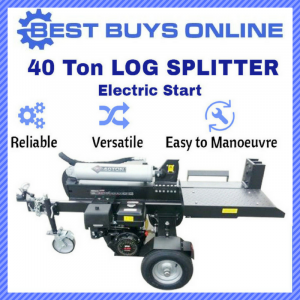 This 22 ton wood splitter has been built to make your life easier by allowing you to conveniently split logs whenever you need to. With powerful 22-ton splitting capacity and massive 180mm hardened steel splitting wedge, it will outperform any 20-22 ton log splitters in the market and be tough enough to handle many types and sizes of logs. 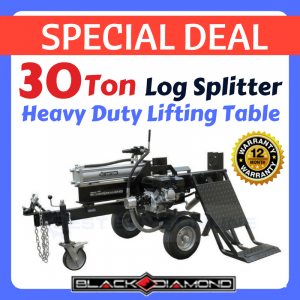 In Australia, we have offered the biggest range of BLACK DIAMOND Log Splitters that have been around for over 20 years, with thousands of products being sold all over the country. Pre-cut, two-triangle head on this splitting wedge that split anything you threw at it with ease. Reinforced splitting head with 180mm hardened steel wedge for durability (while the other 20 or 22 ton log splitters in market comes with only 130-150mm height wedge and can split logs up a meager 460-500mm length). 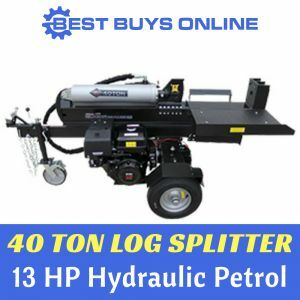 Easily split big logs up to 24" (610mm) long. Extra Large 90mm Diameter x 574mm Stroke Cylinder for maximum performance. Cycle Time Of 8 To 14 Seconds: Split 7.5 seconds, back 6.5 seconds. Stop doing the manual backbreaking labour yourself and let the LS22 log splitter tend to your log splitting needs. Designed to meet Australian Standards and imported by one of Australia's most reputable companies, you won't find anything better than the LS22. 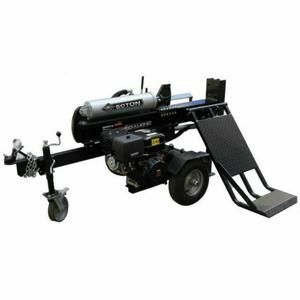 We offer a wide range of HYDRAULIC LOG SPLITTERS with manual or electric start engine. Please call us for more information. Shipping Dimensions: 168 x 41.5 x 69cm, GW: 160kg.